The excitement of seeing Silvers Circus and New Gisborne together in the one sentence come across my inbox was just too much to handle. Gisborne doesn’t get anything like this at all, attractions never really take place apart from a yearly Christmas festival. It blew my mind to know that the family behind Silvers Circus were locals from my hometown. It’s funny that we used to see all the circus caravans and such in a paddock in Gisborne but it never clicked that it would be the Silvers Circus. 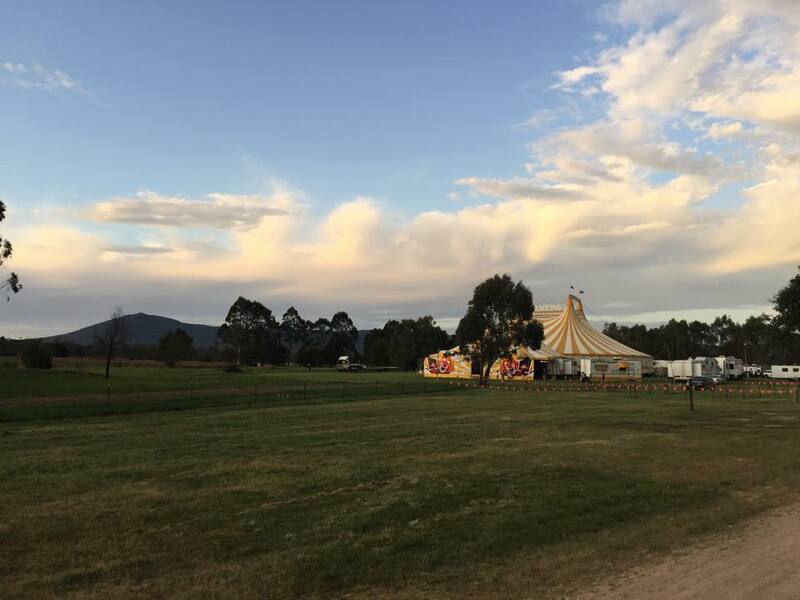 Arriving to the location of where Silvers Circus are set up for the week whilst performing in their hometown you are greeted with the Macedon Ranges hills in the distance, a view that’s magical, exciting and breathtaking all in one. There was something for me that took over and I really felt so happy for the Silvers Circus team to be performing at home for not only them but for me. 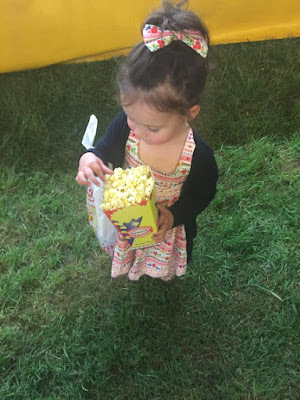 As you walk up to purchase or collect tickets you are then greeted with the little sideshows of the balls through the clowns mouth game, a novelty showbag or food stalls giving you all those treats that go with the Circus of hotdogs, popcorn, hot jam donuts, choc tops or snow cones. In this instance they also had a smaller blow up bouncy castle. I have said this before but Silvers Circus are so well priced when it comes to purchasing light up sticks, at $8 thats a bargain in comparison to other places. The whistle blows and everyone gets seated for the show. I have seen Silvers Circus many times before and it never gets old, I could watch it over and over. They’re magnificent at what they do and with minimal if not, no mistakes at all. Silvers Circus had a new performer in the mix this time around that I haven’t seen before which saw Klara (as pictured above) foot juggling even with balls of fire at one stage. The energy that’s displayed and given to the audience from each performer is always something to really commend each of them on. I never walk away thinking that they are just doing it as a job, they do it because they enjoy it. Each performer takes a part in helping behind the scenes prepping each others stage for their piece as well as taking part in the sideshow attractions and food stalls. Customer service is phenomenal with a smile, kinds words and going the extra mile. Niah was a little shy in wanting to go on the bouncy castle and the male attendant was more then happy to take his shoes off and help aid her into going on the bouncy castle which I just thought was fantastic. Silvers Circus will be in New Gisborne at the mini train area in Webb Crescent until Sunday 18th October, 2015. A high recommendation to see if you are in the area, or keep posted for your local areas. Disclosure: This post is brought to you by Silvers Circus. 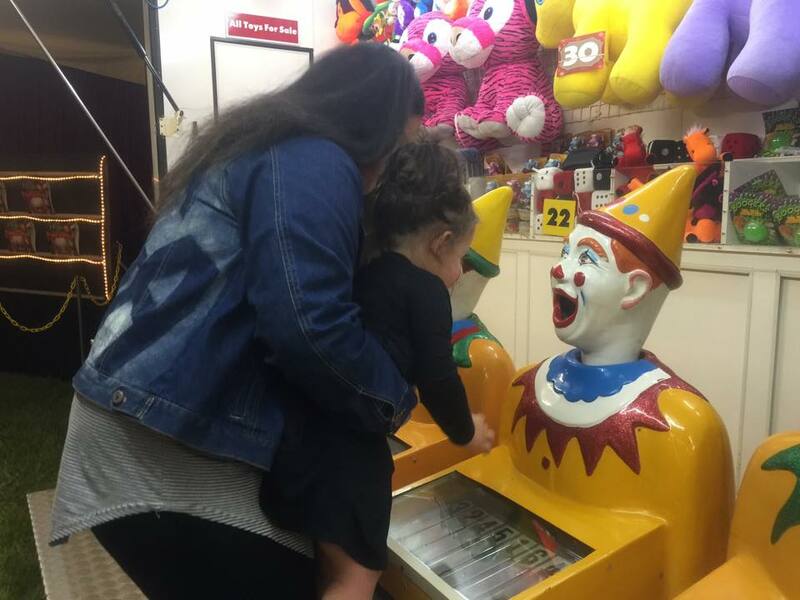 I received a complimentary family pass to the Silvers Circus in exchange for its promotion here. I received no payment for this review and all opinions expressed in this post are entirely my own. Your little one is too cute! 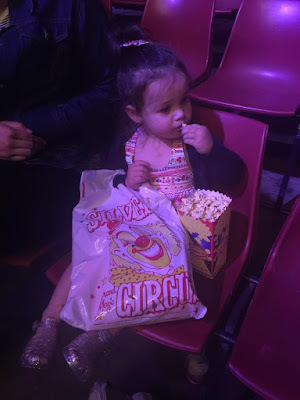 I love taking my kids to the circus, not only for their entertainment but also for my own!